Item # 317173 Stash Points: 8,995 (?) This is the number of points you get in The Zumiez Stash for purchasing this item. Stash points are redeemable for exclusive rewards only available to Zumiez Stash members. To redeem your points check out the rewards catalog on thestash.zumiez.com. Ride like skateboard pro Lizzie Armanto with her pro model Birdhouse Lizzie Butterfly 8.0" Skateboard Complete. 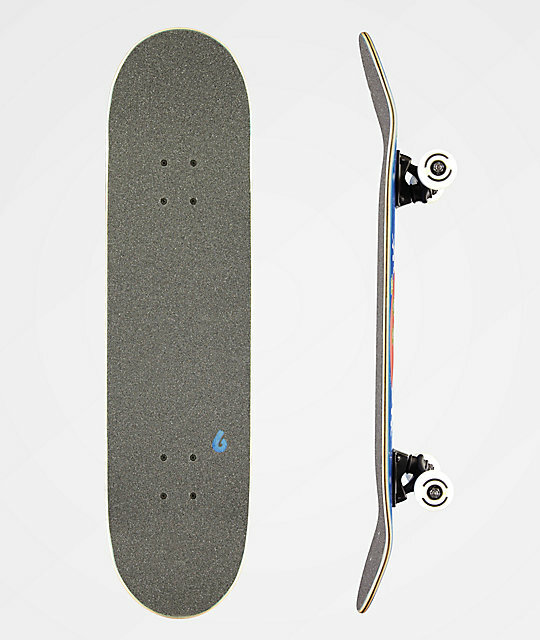 This classic popsicle shaped deck features mild concave and moderate pitch at the kick tails for big pop and stable landings. Constructed with abec 7 bearings for premium acceleration and roll speed while the smaller than average 52mm wheels further help with picking up speed quickly. Finished with Birdhouse brand trucks for a wide hanger and stable truck stalls, this set-up is ready to shred it all form the bowl to the street. 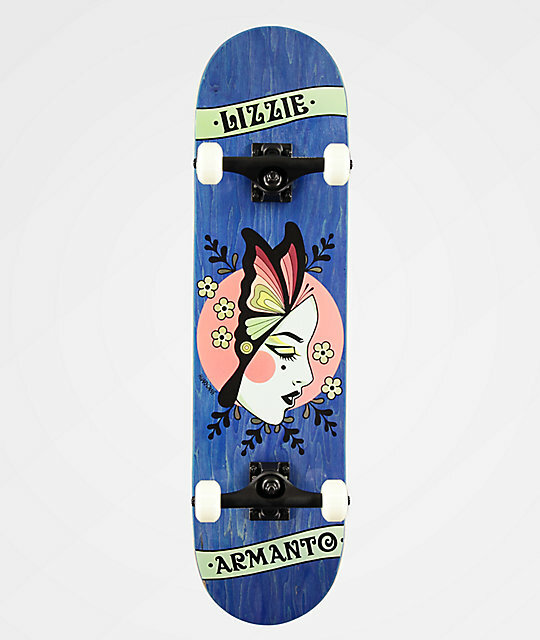 Lizzie Butterfly 8.0" Skateboard Complete from Birdhouse.